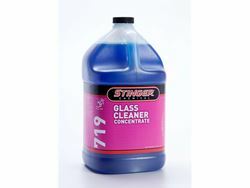 Stinger's Glass Cleaner Concentrate is a powerful concentrated glass cleaner with alcohol. Cleans quickly without leaving streaks or smears. Removes oil, smoke film and bugs and is safe for window tint. Ammonia free and biodegradable. Available in gallons and 5 gallon containers. Dilute up to 1:50.